Light Space & Time Online Art Gallery announces their 7th Annual “Open” (No Theme) Online Art Competition for the month of August 2017. 2D and 3D artists from around the world are called upon to make online submissions for possible inclusion into the Gallery’s September 2017 online group exhibition. August 27th is the deadline to enter. 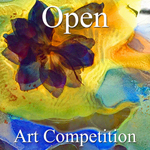 The gallery encourages entries from artists (Including photography) regardless of where they reside to apply to this competition by submitting their best representational or abstract art. There is No Theme for this Current Art Competition. Light Space & Time Online Art Gallery announces their Seventh “Solo Art Series” Online Art Competition. The gallery will judge the Top 12 artists who have the most complete “Body of Work” to show. From that group of 12 artists the gallery will award of 4 monthly Solo Art Exhibitions and the next 8 artists will be awarded and featured in the gallery’s Artist Showcase Section. 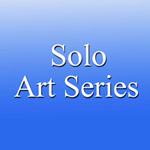 The deadline to enter the Solo Series is Sept. 5th. 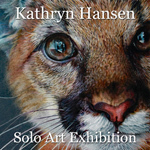 Light Space & Time Online Art Gallery is very pleased to announce that Kathryn Hansen has been selected as one of the four artists of the gallery’s sixth “Solo Art Series” Art Competition. Kathryn will now have a month long solo art exhibition and she will be featured on the gallery’s front page, in the Gallery’s YouTube Channel, as well as in the “Solo Art Series” archive. Light Space & Time Online Art Gallery is extremely pleased to announce that Yuri Benitez has been named as the Gallery’s new featured artist and he will now be promoted by the gallery for the next 14 days in the gallery’s Artist Showcase. Yuri Benitez is a professional figurative and model photographer based in Mexico. Yuri was selected as 1 of the top twelve finalists of the gallery’s recent Solo Art Exhibition Series #6. The placement in this competition qualified his art to be showcased in this feature. Below are his Artist Biography and Artist Statement that was submitted to this competition. September's Art Competition is the 7th Annual "SeaScapes"
Light Space & Time Online Art Gallery announces their 7th Annual “SeaScapes” Online Juried Art Competition for the month of September 2017. 2D and 3D artists from around the world are called upon to make online submissions for possible inclusion into the Gallery’s October 2017 online group art exhibition. 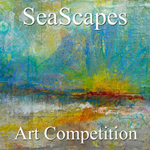 The gallery encourages entries from artists (including photography), regardless of where they reside to apply to this competition by submitting their seascape themed art. The "Seascape" theme will be the artist’s interpretation and depiction of seascape art.